Last weekend my wife Lisa and I joined over 5,000 others in Philadelphia at an event, now in its third year, called the Justice Conference. This was the first year it was held on the East coast so we took advantage and attended for the first time. As much as the term “life-changing” can be overused, I am inclined to use it to describe these two days, and the next months and years of our lives may prove that phrase to be true, at least for us. The focus, of course, was the issue of justice throughout the world and particularly as it relates to the mandate of the Church. No matter where you are on the political spectrum (and I know I have Christian friends who are at both ends and the middle) you don’t have to dig too deeply in Scripture to see that justice is a concern of God’s heart. Though we may not all agree on how it is implemented and in particular the role government should play, His concern for the poor, oppressed and marginalized is evident. I’m going to have lots more to share over the coming weeks, not only from the conference but also my own heart. But here I want to mention one particular issue that gripped me for the first time during this weekend. As you might expect, the speakers and the many organizations there addressed various issues of injustice such as poverty & hunger, human trafficking and slavery, etc. There is another issue we rarely think about that is far reaching yet one where all of us can make a difference every single day, and that is ethical spending. How often do we consider the fact that the particular item we just got a deal on at a department store may very well have contributed to injustice in the world either through supporting slave labor, contributing to the cycle of poverty, or ongoing damage being done to God’s creation. I must admit, until this weekend, and specifically, attending a seminar on “Living Simply, Buying Ethically,” this concern was not even on my radar. It is now. I won’t take the time to go into the issue in detail, but suffice it to say very few of us consider ways that we can use our spending to fix problems rather than creating them. Here’s a mind blowing statistic. If “church people” in the US would focus just 1% of their $2.5 trillion total spending on fair trade products, it could help pull an estimated 25 million people out of extreme poverty. That alone should be enough to make us at least explore this issue. The church preaches a lot about giving/tithing but very little is mentioned about how we use the other 90-plus percent of our money. A place to begin exploring this issue is with a young organization called Trade As One. I hope you will take the time to check them out. 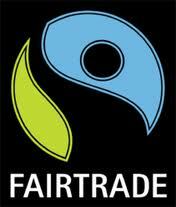 There is also a great site called Better World Shopper and even an app to help determine which companies and stores are most and least supportive of fair trade. I would also encourage you to check out a handy book, the Better World Shopping Guide. I am so glad we attended this amazing event. I know the conversations we began there are going to help inform a lot of our decision making over the next year, which will include an upcoming relief trip to Haiti the first week of August. I was glad to see people from so many different faith communities, especially a vast number from the Evangelical tradition, which has been slow to take up this cause. That is changing. I was encouraged to see so many 20-somethings at the conference. That gives me hope for the future, that we are raising up a new generation of justice-seekers. Good thing, since, sadly, there is no shortage of injustice in today’s world.